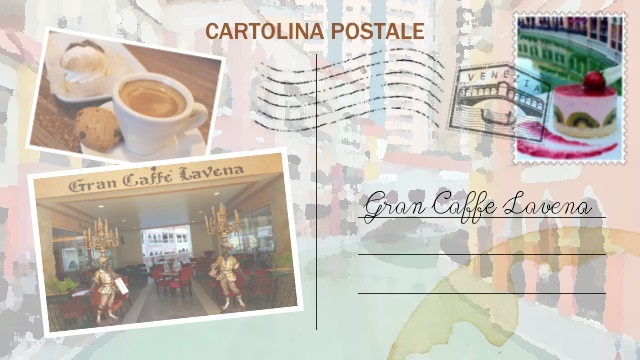 Gran Caffè Lavena is a newly opened cafe located at the Venice Grand Canal Mall, McKinley Hill. It took inspiration from a 17th century cafe with the same name located in the city of Venice, Italy. Gran Caffè Lavena promises an authentic Venetian cafe experience by offering authentic Italian dishes set in an exquisitely designed interiors with an undeniably Venetian feel. The cafe is located on the Rialto Bridge replica of the Venice Grand Canal Mall which affords the guests with a view of the grand canal, the closest experience one can have of a Venetian dining here in the Philippines. Gran Caffè Lavena also filled the interiors with furniture and accent pieces imported from Italy, including the marbles used in the interior of the cafe. At the helm of the Gran Caffè Lavena culinary team is Italian Chef Davide Cortina who is also a calcio superstar in Germany and here in the Philippines. During our visit, Chef Davide had us try some of the classic and signature Italian dishes from their menu. What a great way to start the meal with Caprese Amalfitana Mozzarella e Pomodoro, a simple salad made of slices of Mozzarella, Tomatoes and Basil leaves. With a salad bearing the tri-color of the Italian flag, our appetite is all set to try more Italian dishes. Chef Davide then had us try this trio of Burrata which is a fresh Italian cheese which he made in-house at the cafe. Burrata is made of mozzarella and cream encased in a harder, solid mozzarella cheese, making the inside soft and creamy with chunky outer crust. Burrata can be consumed on its own, usually seasoned and served with bruschetta. We had three different variants of Burrata, one was seasoned with truffle oil, another one seasoned with balsamic vinegar and olive oil, and third one seasoned with spiced olive oil. Bruratta can also be served as topping for salad. We also got to try the Penne Quattro Formaggi, a pasta dish made of penne and four types of Italian cheeses. Next to be served was the Risotto con Tartufo, Asparagi e Prosciutto Crudo, a risotto dish cooked in an asparagus based broth, with a rich flavor of truffle and topped with parma ham. After the savory treats prepared by Chef Davide, he then had us try some of his specialty pastries starting with this assortment of Bignè, also called Bignola in Italian. In general terms, this pastry may be referred to as cream puffs which has several variations in Europe. The ones typically found in Italy consist of a shell filled with custard of various flavors. The shell may also be covered with chocolate frosting. Chef Davide also introduced to us two of their best-selling desserts. First was the Torta Saint Honoré, which is a cake named after the French patron saint of bakers. It consists of a puff pastry base and topped with two cream puffs dipped in caramelized sugar. It is then finished off with chiboust cream and whipped cream. Another dessert served was the Strawberry Mousse Cake with slices of kiwi. Ending an Italian meal, you can either have Caffè which is usually a shot of Espresso, or a Digestivo, a shot of an alcoholic beverage such as Limoncello. That has been our Venetian dining experience at Gran Caffè Lavena. 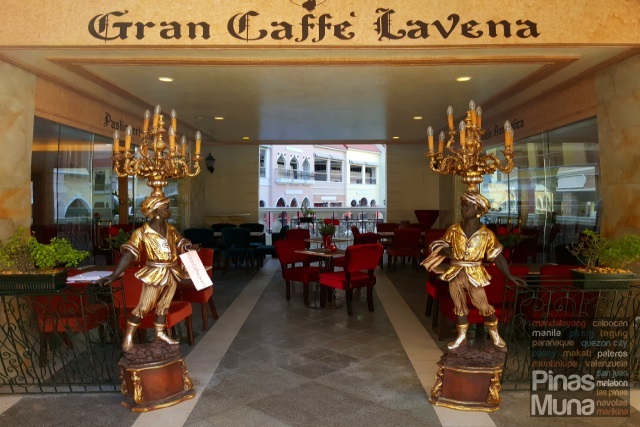 On your next visit to Venice Grand Canal Mall, complete your Venetian experience by dining at Gran Caffè Lavena and enjoy their authentic Italian dishes and beverage.